Your message will be sent to Nia Stefany. Nia Stefani is the Managing Partner of Xnergy LLC and Xnergy Financial LLC, a FINRA/SIPC member registered investment banking firm. She brings to Xnergy over 15 years of experience in mergers and acquisitions, investment banking, private equity, finance, and law. Her experience extends from startups to New York Stock Exchange-listed companies and over a diverse range of industries. Ms. Stefani advises and assists clients in the acquisitions and sales of businesses, in private equity and venture capital, and in corporate structuring, planning and transactions. Ms. Stefani has completed a wide variety of investment banking transactions for clients and has managed or participated in dozens of acquisition, merger and disposition transactions valued at more than $1 billion. Throughout her career, Ms. Stefani has successfully formed, acquired, managed, developed and sold several companies in the franchise, consumer products, technology, and software industries. As an executive and director, she has been responsible for management of all aspects of businesses, including strategic planning, structuring, finance, operations, and marketing. Prior to Xnergy, Ms. Stefani was a mergers and acquisitions and securities attorney where she was responsible for negotiating and structuring mergers, acquisitions, dispositions, public and private equity and debt financings. Ms. Stefani has also been an adjunct professor at Santa Monica College and at Loyola University, where she taught classes on business and legal subjects. Nia Stefani attended Loyola University School of Law where she received a J.D. degree. Subsequently, she attended the University Of San Diego School of Law where she received a Masters of Laws in Taxation, with a specialty in complex corporate transactions. 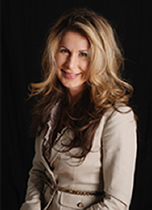 Ms. Stefani is a member of the California State Bar, the Financial Industry Regulatory Authority (FINRA), and SIPC. She is a member and sponsor of the National Investment Bankers Association, the Association for Corporate Growth, the Los Angeles Venture Association. She is also a member of the Pasadena Angels, the Tech Coast Venture Group, the Small Cap Investors Association, the Keiretsu Forum and many other professional, charitable and civic organizations. Ms. Stefani is a panelist and speaker at the Annual Harvard Business School Conferences, the Entrepreneur Conference, the Growth Capital Conferences, the Continuing Education of the Bar and other professional conferences, conventions and seminars on investment banking, angel investing and venture capital. Through her involvement with the Pasadena Angels, Rochester Angels and the Keiretsu Forum, Ms. Stefani has mentored entrepreneurs and start-up businesses as well as invested in several promising early-stage companies, and she provides business and financial guidance to them at no cost. She serves on the boards of directors of several private companies and nonprofit organizations. Ms. Stefani was recognized nationally for her contribution to emerging growth businesses and awarded the Keeping America Strong Award by Rear Admiral Kevin Delanney. She has also been featured in the 100 Most Successful Women in Southern California by the San Diego Business Journal. Her firm, Xnergy, has received the Certificate of Appreciation by the City of Los Angeles for its contribution to California businesses, been named one of the top 10 investment banking firms by the Business Journal, and nationally, has received the Los Angeles Award by the US Commerce Association for financial services.